Early defibrillation is a critical component in treating cardiac arrest. We offer Zoll cardiac defibrillator products to meet the needs of a full range of trained rescuers, first responders and hospital professionals. In addition to providing the very latest cardiac life support technology, our entire line of Zoll cardiac defibrillator products feature a uniform operating system, so the need for training is minimized and ease of use is maximized. The Zoll M Series is the smallest, lightest, brightest unit in its class that makes for easy handling and optimal viewing. The Zoll M Series® CCT brings together ZOLL’s superior biphasic defibrillator function, external pacing, complete monitoring, multiple application printer, and a large full-color. 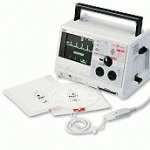 Zoll M Series Defibrillators are available at The Physician’s Resource for Medical Equipment. Contact us for more information on the line of Zoll Defibrillators or call toll free 1-800-866-6689. Zoll AED Pro Defibrillator has an outer housing made from the same material as football helmets – polycarbonate siloxane resin. This durable molding is water resistant to high-pressure water jets and passes a 1.5 meter drop test. The Zoll AED Pro Defibrillator has an internal memory as well as a removable USB flash memory capable of transferring data. The Physician’s Resource for Medical Equipment furnishes medical equipment from the leaders in the field at highly competitive prices. Our expertise of medical equipment will help save you time and money. For more information on the Zoll AED Pro Defibrillator visitor our website or call toll free 1-800-866-6689. Zoll automated external defibrillator is a full rescue AED – not just a defibrillator. 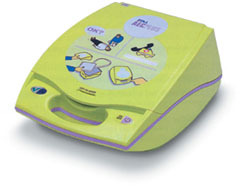 With ‘Real CPR Help™ ’, the Zoll AED Plus’ audio and visual prompts help the rescuer provide quality CPR. With this tool, you will be able to actually see what you are doing and help you to do it well. The Zoll AED Defibrillator Plus is like a ‘road map’ for resuscitation. The Physician’s Resource for Medical Equipment furnishes equipment from the leaders in the field at highly competitive prices. 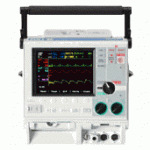 Our expertise of medical equipment will help save you time and money. For more information on the Zoll AED Plus Defibrillator visitor our website or call toll free 1-800-866-6689. As health care reform rages through our government, a new and interesting approach to medicine is making it’s appearance as an alternative to making house calls. Coined by the American Academy of Pediatrics in 1967, medical homes are systems that provide around the clock access to care using a team of professionals – for example a physician, a nurse practitioner, a dietician, a social worker, and a pharmacist – to cut down on medical costs and improve access to treatment. Using a series of computerized records and electronic communications methods, medical homes help patients get specialty care when they need it and keeps careful track of treatments and progress. For doctors and health care professionals, the system is seamless and easy with contact and access to records always at hand. According to the New York Times, there are now medical homes in more than a dozen states, many of them serving Medicaid patients. Their proponents say they save money because they focus on prevention and prompt attention to emerging problems, which can prevent costly complications. Some major health insurers are also testing patient-centered medical homes. The medical home concept has also won the support of the American Academy of Family Physicians, the American Academy of Pediatrics, the American College of Physicians and the American Osteopathic Association, among others. Do you feel that medical homes are the future of patient care? The Xience stent, a flexible metal-mesh tube coated with the drug everolimus, has recently been used in it’s first real-life trial and according to Dutch cardiologists, it is performing incredibly well. The trial, which involved nearly 650 people, compared the outcomes of those given the new stent with others who had received bare metal stents or another type of coated stent. The result: in a sixth month follow up period, the incidence of death, heart attack and stenosis was lower in the Xience group. The Xience V stent is made by Abbott Vascular and the company will continue to track performance using a data bank that incorporates more than 5,000 recipients. Yesterday the World Health Organization (WHO) declared the first pandemic to hit in over forty years. The H1N1 virus, also known as the Swine Flu, has how reached a Phase 6, the highest level, on the WHO’s infectious diseases alert. So far, the H1N1 or swine flu pandemic this year has accounted for 27,737 laboratory-confirmed cases and 141 deaths, although health officials believe many times that number have been infected but have not been tested because their disease was mild. In the US alone, there have been more than 13,000 cases and at least 27 deaths. A normal seasonal flu outbreak kills about 250,000 to 500,000 people worldwide. The WHO and its supporters are now hoping that pharmaceutical companies will move faster toward the release of a vaccine against the new virus. The announcement will also have more impact on many impoverished countries, freeing up additional funds for treatment and prevention and helping to make stocks of antiviral drugs more readily available. To find out more, read the official statement from the WHO. According to the World Health Organization, about 1.8 million people die worldwide each year from tuberculosis (TB) and a third of the world’s population are infected. In addition, of the 9 million new TB cases annually, about 490,000 are multiple-drug resistant TB or MDR-TB and about 40,000 are extensively drug resistant or XDR-TB. However, according to new research, an experimental treatment could help in treating resistant TB, delivering results that are up to five times more effective than current methods. According to the study, funded by Johnson & Johnson, drug TMC207, if added to a standard cocktail of five other TB medicines, cleared traces of the tuberculosis bacteria in the sputum of 48 percent of the volunteers after eight weeks. Only 9 percent of patients given the five older drugs alone showed that type of improvement. TMC207 is now being billed as the first new tuberculosis drug in 40 years. It works by interfering with the enzyme ATP synthase, which the bacteria need to store energy. According to the Triangle Business Journal, United Therapeutics Corp. has won U.S. Food and Drug Administration approval to sell the drug Adcirca for the treatment of pulmonary arterial hypertension. Adcirca is a prescription medicine used to treat PAH, a life-threatening disease that constricts the flow of blood through the pulmonary vasculature. Adcirca contains the same active ingredient as Cialis (tadalafil), which is marketed by Eli Lilly & Company to treat erectile dysfunction in more than 100 countries. The American Lung Association says pulmonary arterial hypertension can cause shortness of breath, chest pain and eventually heart failure when left untreated. There is no cure, but research continues into treatment and management options for those who may suffer from it. The disease is often linked to other conditions such as heart or lung disease, infection with HIV, and autoimmune disorders. The exciting part of this FDA approval is that this new drug could change the way that erectile dysfunction and hypertension are treated in tandem, especially in demographic males who may suffer from both. Physicians will be watching to see what other drugs may come into play to treat two separate health issues effectively. A unique new institute will look for ways to treat rare and neglected diseases and take the first and riskiest steps toward bringing new drugs to market, U.S. health officials said in a recent report. According to Reuters news service, the government has provided support for several years to start the Therapeutics for Rare and Neglected Diseases Program at the National Institutes of Health. The program will use taxpayer money to get drugs through the most costly and dangerous phase of development, known as the “Valley of Death” because so many fail there. The goal is to treat those who suffer from rare conditions that lack treatment. A rare disease is classified as one that affects fewer than 200,000 Americans, and NIH estimates there are about 6,800 of these conditions. Out of this number, only around 200 have treatment. “Twenty-five to 30 million Americans suffer from rare or neglected diseases,” said acting NIH director Dr. Raynard Kington in a telephone briefing with reporters. “We don’t know yet exactly which diseases this program will take on,” added Dr. Alan Guttmacher, acting director of the National Human Genome Research Institute. Guttmacher also said the new institute would be opportunistic, pouncing on promising research studies, some of which may be funded by advocacy groups for rare diseases. Copyright © 2006 The Physician's Resource for Medical Equipment, Inc. All Rights Reserved.